I collected my graduation robe (I don’t wanna say “gown” because it sounds like a dress) a few days back. If you have been following me on my Twitter, you should have known about it. Back at home, I tried it on. This is how it looks from the back. Quite messy huh? The ‘cape’ I mean. How to wear it nicely ah? The weird thing about this ‘cape’ is that it looks like a pants when I first unfold it. Maybe it’s suppose to be worn this way? Okay looks pathetic, definitely not then. So that’s the problem – I don’t know how to wear it properly. It’s like a piece of cloth dangling behind me. Makes me feel like Superman. Look it’s a bird! It’s a plane! No! It’s… someone with a graduation robe + cape + mortar board! Then I took a picture with this flower-looking mini windmill. Oh yeah, the ‘cape’ can be worn as a hoodie too. Take a look. If you don’t get what “Waound” means, what?! it’s the sound of light saber swinging here and there okay? Anyway, wearing the graduation robe makes me feel like someone special. It’s like I’m a student of Hogwarts School of Witchcraft and Wizardry. I think I can be the main cast in the Harry Potter movies! Sorry ya, my Hogwarts classmates (especially Hermione and Ron) are not smiling like I do. They’re just a little emo + angry because I’m Dumbledore’s new pet! Anyway, ever since I’ve finished my days at INTI University College, I’ve been looking forward to the convocation. It’s on the 13th of November 2009! Have a great convocation! Congratulations! Congratulation! And welcome to the rat race..kakakaka. LOL!! !Im wearing mine in few more months!! !Congrats ken!! Wierd, I never see ken look fierce before. Congratz! 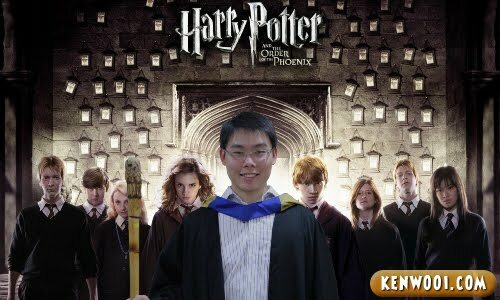 *impotentpetronas* and 1kenwooi will appeared! congrats to u for ur grads. and condolence to u for entering the cruel working world which full of office politics soon. btw, the harry potter poster.. hahahaha! Hahas.. I love the Obi Wan KENoobie. congrats dude…you making fun with ur robe? lol… a jedi ..
Congrats for ur great day! total 6 years = can u imagine this ???? Wish you have a great day! hey Ken, u r so creative, how did u do all that.. the beautiful garden, the up up and away sky, star wars, and harry potter pun ada.. hahhaa.. u r really something..
wanted to add in this.. ALL THE BEST TO YOUR NEW PHASE OF LIFE!! lol, so in the end you know how to wear your graduation robe anot ?? haha u look so beautiful lah with the flower. btw, tahniah tahniah for ur graduation! Lol congratz Ken!! ^^ Yr parents will be proud of this superman-son! Lovely cape :P. I like the star wars wannabe picture haha! Congrates!! !hahaha…love your creative picture la..
Congratulations! All the best in your future undertakings, man! 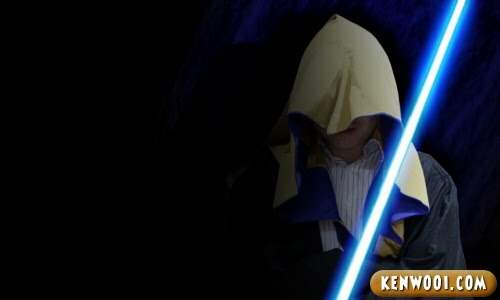 Obi Wan KENoobie – May the force be with you. Congrats! congratulations to you too.. happy blogging! HAHAHA!!! Damn funnny weyy. The harry porter pictures. HAHAA!!! I believe that your parents are so going to be proud of you! All the best in your future and undertakings! God bless =)!!!! heheheh!! cool post with lotsa backgrounds!! love the Obi Wan’s bckground!! LOL @ Obi Wan KENoobie!! congrats. your robe is much prettier than mine.. Congrats!! impotent petronas ??? still need to add oil? lol, u look beautiful. xD. congrats anyway! Whoa! Congrats upon your graduation. =) Big boy already! hihihihi..ihihhi.. i like Harry Poter Pic. when u next movie bro? . Congrats… and welcome to working world. LMAO…great post and congrats ken! Congrats Ken, you don’t look beautiful but so so handsomelah…..
or may be Mr. big riding hood travelling in the woods! It could be…yeah you really look beautiful and shy too. Ken, so good at acting. You will win the Grammy award! I am so proud of you Ken. Really really proud of you. Please add into your postlah. Really cool Ken, can you organise a giveaway on your ken potter’s shot? I guess tonight, I will have my graduation dream too. 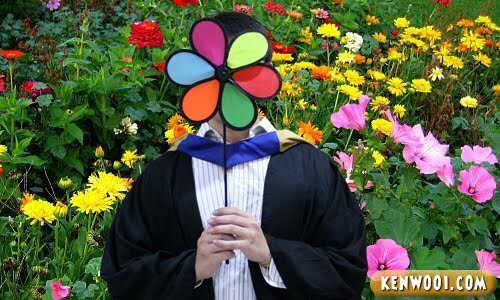 Happy graduation and all the best in all your current and future undertaking Ken. Make a wish…want do you want for graduation? Weeee…..CONGRATULATIONS. You look handsome :) All the very best in all your future undertakings. Congratulations Ken! I like the Obi-Wan KENoobie picture. I was Count Dooku this past Halloween. u r a batch with 1 of my friend. her name is evelyn lai.shes from inti uc too.same graduation with ya. congrats ken….this is the same robe i wore last time in inti…they never change the color at all…. What do the colours on your robe mean? 13th is coming very soon! it’s just 2 months ago that i got my convocation, now starting work oledi for 5 months, haih! damn i miss my college days!!! Congraz Ken! Your parent must be very proud of you. HAHA!!! sorry for being away man..
been dead busy with my magazine job. but will keep updating my blog whenever i got time for it. OMG that might hit the trend of new ways taking convo pics! BTW CONGRATES! now go destroy all hocruxes!! hey, ur cape look much different from mine one. Mine is grey one. Maybe business course i think. Congratz. congrats!! u r finally free!!! welcome to the working world. hehe. You gonna miss your friends. And school-life too. At least I did when I graduated. Congratulation to u Kenwooi. Hey, you are really creative. By the way, what “field” are u in, I mean your studying? anyway congrats for ur graduation..
You haven;t had your convo yet?….Well, congrats and wishing you a bright and happy future ahead! blue .. that makes you an engineering student. Congrats on ya graduation. And ya robe being so er.. useful. Lol. and nice joke you have there. Congratulations, Ken. Enjoy the day..
hahahaha funny post! especially the ken porter . love the last picture, handsome boi! congratulations! time to step into the big bad working world edi, haha! Stop playing with your graduation robe, boy! Lolz… I can’t imagine anyone fooling around with this piece of thingy like u..
like diz entry so much…nvr tot dat graduation robe can be so useful like dat. anyway, congrats on ur graduation day!! hahas. the robe looks like mine, the Form5 school leavers’ robe! Hello Congratulation! Another funny post! My classmates and I plan to run across roof of the shelter that’s directly infront of the principal office in our graduation robe next year. Hehe. This is after we recieve our diploma.